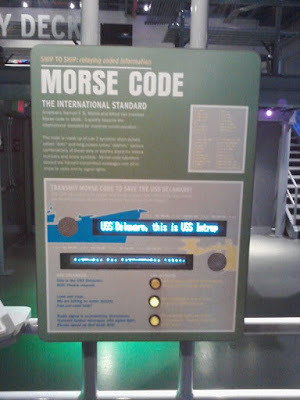 Visited the USS Intrepid aircraft carrier museum yesterday (here in New York City). 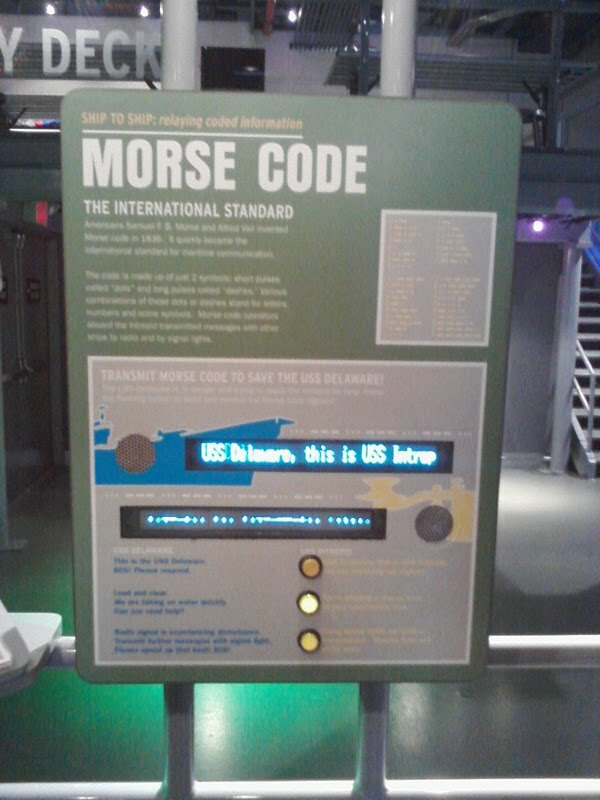 Among the numerous exhibits in the hangar deck is this one on Morse Code. The scrolling digital blue lines are supposed to be translations of each other. What's rather glaringly wrong with this?